I read all genres, with horror and psychological thrillers being a few of my favorites, but not many fictional things actually succeed in scaring me, as far as books and movies go (although someone in my family walking into a room unexpectedly will almost always result in my screaming and jumping—but that’s an entirely different story having to do with how tightly I’m wound these days). While many people avoid scary stuff like the plague, I love it…I think it has something to do with the thrill of a heart-pounding adrenaline rush accompanied by the comforting fact that on some level, I know I’m actually safe, sitting on the couch reading or watching. So I read plenty of horror, paranormal, and suspense, and I love watching scary flicks (find a list of my favorite ghost movies here) although I prefer supernatural and psychological horror over the kind that feature gore or torture. So for fellow adrenaline junkies, here’s a list of three movies and two books that did truly scare me. Any spoilers will follow a “Spoiler Alert” sentence, so you can safely stop reading about something you want to try for yourself. I’d hate to ruin any future scares! 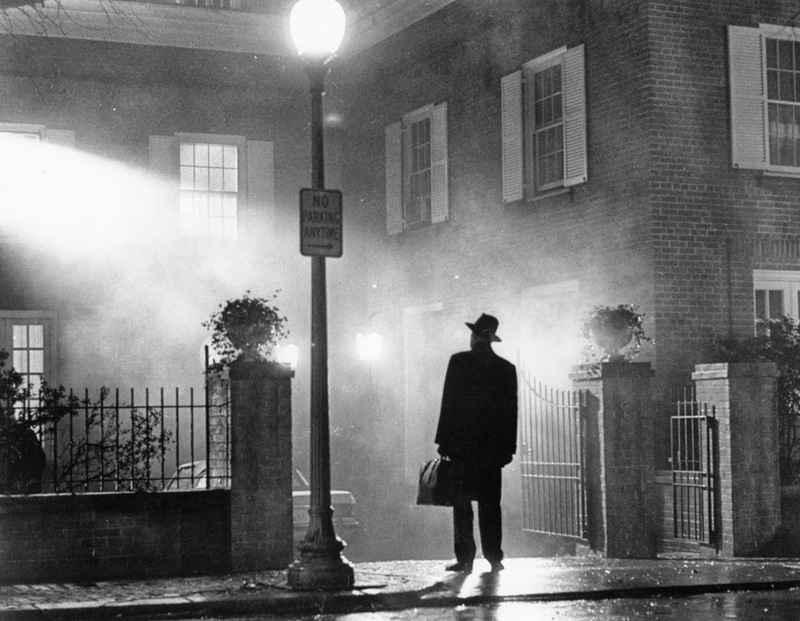 Movie: The Exorcist. I can’t imagine it would be possible to spoil anyone regarding the plot of this movie (based on the book by William Peter Blatty), since it was released in 1973 and also, if you’re reading this, you probably like scary things and have certainly watched it. Even though the film is a bit dated, it’s still one of the scariest things I’ve ever seen. When I saw it as a child (on TV—not sure who approved that—some solid parenting there lol), I related more to the viewpoint of the child, Regan. Could something like that happen to me? And if it did, would I be subjected to those giant needles and painful tests? Would a demon turn my head around and write on my skin from the inside out? Those scenes struck a visceral chord with me. As an adult, my fear stems more from the mother’s point of view—talk about a nightmare situation. An evil entity taking over your child? It’s not hard to imagine the horrifying helplessness a parent would experience, watching a demon not only possess but also injure his or her child. Probably the most chilling thing about The Exorcist is that the book was based on an actual incident which occurred in Maryland, not far from where I grew up. 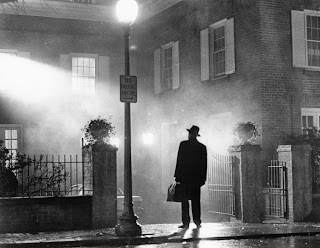 And then there were the frightening real-life events surrounding the making of the movie which led people to wonder if portraying a demonic possession actually conjured up some evil forces – more on the “Curse of The Exorcist” in this post. 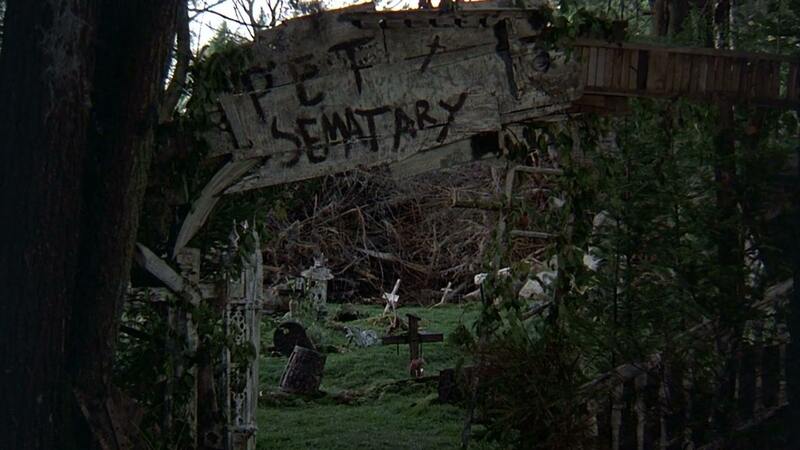 Book: Pet Sematary. I read a lot of Stephen King, and this is the book King calls the most frightening he has ever written. That should tell you something right there. I can’t speak regarding the movie, as I haven’t seen it, but I clearly remember reading the book even though it was years and years ago, when I was a teenager. And I remember so vividly for two reasons: (1) I stayed up until 3 a.m. reading to finish it, and it was a school night. And (2) I spent the rest of the night (early morning, actually) scared out of mind, waiting for **! !spoiler alert, stop reading here if you haven’t read the book or seen the movie and have plans to now** …a shambling, undead, murderous toddler wielding a scalpel. No wonder King found the manuscript so horrifying he almost didn’t finish it! Very few books have affected me like that, and for the rest of the night, my lights stayed on and every creak in our old home had me watching the bedroom doorknob, waiting for it to slowly open. Book: Red Dragon. The precursor to Silence of the Lambs, also by Thomas Harris. This is likely to sound twisted, but this book was actually recommended to me by my father, who instilled a love of reading in me early and knew that like himself, I enjoyed a good adrenaline jolt as long as it was fictional. I was probably about 14 or 15 when he asked if I’d read it, and he then told me it was the scariest book he’d ever read. Obviously I had to run out and get it. This is the book in which Harris introduces the now-iconic Dr. Hannibal Lector character. But the more terrifying aspect of the book was the psychotic serial killer nicknamed “The Tooth Fairy” by the press. More specifically, it was not only what he did to the families he murdered, but how he got inside their homes, and especially how he chose his victims. **! !Spoiler alert ahead, I can’t remember when this is revealed in the book, but best to stop reading now if you don’t know**…As it turned out, the killer had a job developing film and movies, and he used this visual information to select families and learn layouts of the houses. So, yeah, this scared me so much, I actually stopped having my pictures developed for a while, which was a major inconvenience. When a fictional character makes you change your behavior, you know that book has made an impression! Movie: Jaws. Based on the book by Peter Benchley, this movie released in 1975, so of course, the special effects aren’t really appreciated by younger generations. Still, the fear of being grabbed and eaten alive by something unseen, under the water, is pretty much universal, so that alone is enough to seriously frighten most people. And then there’s the way it was filmed, often from the shark’s point of view as it honed in on its victims, along with the terrifying score that accompanied the hunt. Part of the horror is the randomness of the attacks—it can and does happen to kids and teens as well as adults in this movie—and it often happens right out in the bright sunshine, at a beautiful place usually associated with relaxation and family fun. This movie was filmed on Martha’s Vineyard, very close to where I live now, so if you’d like to see some of my photos of iconic movie spots, that post can be found here. 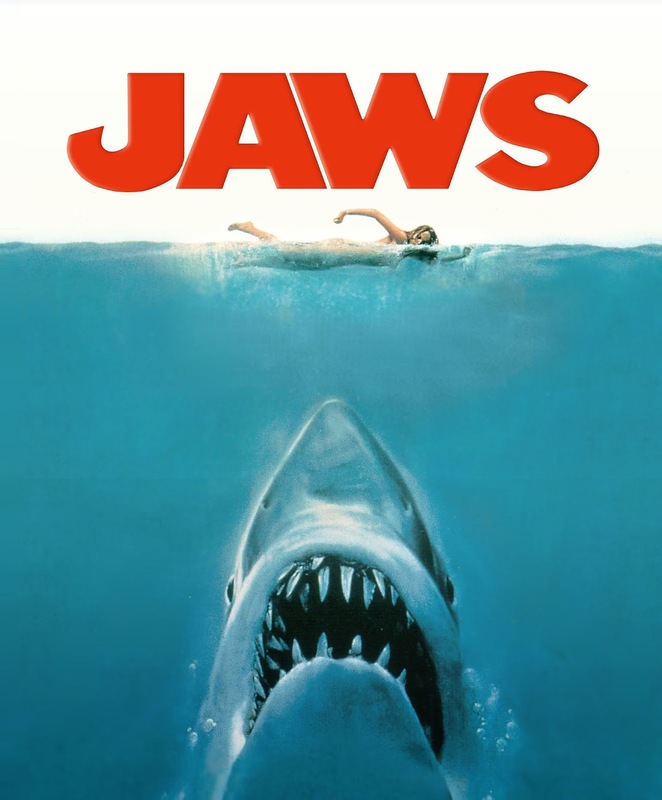 And I have to say, this movie is even scarier to me now, because Great White Sharks have become very commonplace off the Cape Cod shores since the seal population became protected and then exploded. The last time I went Full Moon Paddling (a once-a-month nighttime kayak expedition I sometimes do), we were out in open water and something hit against the bottom of my kayak, setting me off balance for a moment with a hollow thump. I’m sure, now, that it was just a sandbar, but at the time, in the almost complete darkness, my heart nearly exploded and I was certain I was about to be an evening snack. So while I enjoy the nighttime paddles, I’m sticking to the lake and pond excursions for now. Thanks, Jaws. 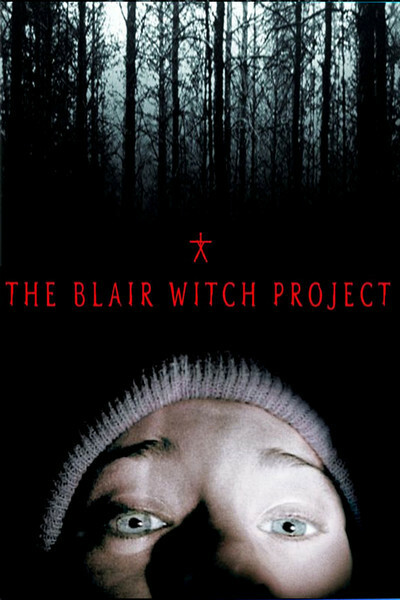 Movie: The Blair Witch Project. First of all, another horror film set near where I grew up—Burkittsville, Maryland, not far from where I spent a lot of time at our friends’ farm and where I set one of my own books. So already, the proximity alone creeped me out. But the even bigger part was that this movie was promoted as being ACTUAL “found footage”, all that remained after the three film students go missing--a brilliant marketing strategy that went "viral" and purposefully added confusion to the question of whether the movie was fact or fiction. And it was very, very effective, at least in terms of scaring me. First off, the three went into the remote woods of the Black Hills in search of the ghost of The Blair Witch, a woman accused of witchcraft and banished from the town. During preliminary interviews, they had also heard horrific stories of a kidnapper who lived in the woods in the 1940s. Soon the three are lost in these spooky woods, with no way to contact anyone for help, which is a fear most people can identify with. When creepy things begin happening, all recorded on shaky, hand-held cameras which increase the tension, it’s like we’re watching these helpless people being stalked by some unseen, possibly supernatural entity, and it’s completely unnerving to say the least. Similar to (and inspired by) early scenes in Jaws, this movie uses the viewers’ imaginations to fill in the predator’s image, and the “not knowing” gives our minds unlimited reign to conjure up something bone-chilling. When this movie came out, I was living in a house that backed to the woods, and after seeing it, if I had to go out at night to get my dog in, my heart would be racing, my ears straining for random snaps of twigs, my eyes searching the shadows for dark figures. And I’ll never look at a pile of rocks or sticks again without a little ripple of unease. So those are a few fictional stories that scared the daylights out of me! I tend to aim more for spooky suspense in my own novels, but readers and reviewers have told me certain scenes gave them chills, which is exciting for an author who writes about hauntings to hear. And since I am such a fan of ghost stories in particular, I’ve made previous lists of My Favorite Ghost Stories and My Favorite Ghost Movies, for more ideas to get your paranormal fix. And if you have a book or movie that scared you, I want to hear about it! Thanks for stopping by and happy reading/viewing.